Bruxism, the term for teeth grinding, is a relatively common condition that can become serious if left untreated. Bruxism can occur during the day during waking hours or at night when it is referred to as sleep bruxism. While it often does not result in any damage, frequent grinding can result in headaches, jaw disorders, and damage to the teeth. The majority of people with bruxism typically grind their teeth at night while sleeping due to missing and crooked teeth or jaw misalignments. Less commonly, bruxism can be due to anxiety and stress. Because the majority of people grind their teeth while they are sleeping, many do not know that they are suffering from bruxism. However, many who grind their teeth do notice their jaw is sore or that they are more prone to headaches. If you believe you may have bruxism, talk to a dentist who can exam your jaw and teeth for any signs of the condition. Why is it Harmful to Grind Your Teeth? While mild bruxism may have no negative repercussions at all, significant gnawing, grinding or clenching can have some serious consequences. Chronic bruxism can lead to the fracturing or loosening of teeth leading to eventual tooth loss. In order to correct the issues, it may be necessary to receive dentures, crowns, bridges, or root canals. What are Some Ways to Stop Grinding Your Teeth? In order to decrease teeth grinding, there are a number of things that can be done. It is recommended that those with bruxism stop consuming foods high in caffeine as well as alcohol. Chewing gum has also increase the frequency of tooth grinding. While these are all good practices to adopt, those with bruxism should always seek the care of a dentist. Without a doubt, the most successful treatment for bruxism is custom mouth guards which are specifically designed to prevent the grinding of teeth. 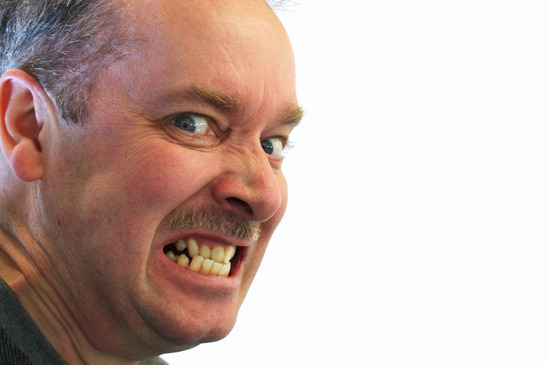 Have you noticed that you are exhibiting some of the signs related to bruxism? Call your dentist today. For dental care in the Bolivar, Missouri area, call Dr. Gonzales of Bolivar Family Dental.